How have you kindled and nurtured your kids in their relationship with Jesus? At first, I felt inadequate to answer. I don’t think I’ve done anything in particular to nurture my kids’ faith. I haven’t consistently prayed with or for them. I haven’t helped them read their Bibles regularly. The times we’ve tried regular family worship or devotions, they’ve fizzled out. It was easier when the kids were young and enjoyed jumping around to a boppy praise song, though even those times sometimes ended in fights or tears. Move on to the teen years, and, as lovely as our kids are, they’re not always keen to sit around with Mum and Dad reading the Bible, or praying together. It’s easy to feel mum guilt. It’s also easy to feel overwhelm. 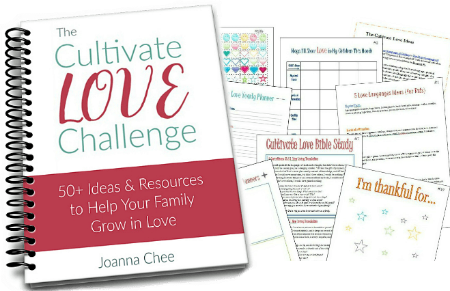 There are so many great resources out there to help us grow our kids in their faith – devotional books, different Bibles, limitless Christian music choices, courses, books, webinars, podcasts…..the list goes on. But what does nurturing our children in Christ really mean? Does it mean sitting round the dinner table every night reading the Bible together? Does it mean helping your child read a devotional each day? Does it mean listening to a podcast or taking a course to help you disciple your children? All these things might be a part of nurturing our children in Christ. They are wonderful things to do. You and your children will reap rich rewards. You are doing an amazing job if you do any, or all, of these things with your children. However, I’d like to suggest that the heart of nurturing our kids in Christ is actually something quite different. Just think about the centuries of families who didn’t have internet, who didn’t have books, who didn’t even have Bibles? How did they nurture their children in relationship with Jesus? And how about families today without access to these things? How do they nurture their children in relationship with Jesus? There must be more to it than the resources we use, or the activities we do, however wonderful and useful they are. This makes me feel better! No more mum guilt! No more overwhelm. Live your own life with Christ. Nurture your own relationship with God. There is nothing more important than this. Your children will see Jesus in you. Your children will experience Jesus through you. Your children will be drawn to Jesus because of you. As you live your life with Jesus, you fill your home with Jesus, his peace, his joy, and his love. When Moses came down from Mount Sinai … he was not aware that his face was radiant because he had spoken with the Lord. Spend time with God, and you will shine! Spend time with God, and your kids will experience more of him too. I remember going in to my Mum and Dad’s bedroom each morning and seeing them sitting together in bed reading their Bibles. That instilled in me the importance of God’s word and a desire to read it myself (without them having to say anything). It’s not so easy for our kids to see us reading our Bibles these days, what with Bible apps and eReaders – maybe it’s time to go back to using a ‘real’ Bible – but there are many other ways to live our faith in front of them. Personally, our kids have seen us trust God for provision – and come through for us in miraculous ways; they’ve heard us share God’s love with others, and the stories of all God’s done for us; they’ve seen us pray for the sick; they’ve known our heart for the lost; they’ve served with us wherever we’ve lived. Sometimes they’ve been actively involved. Other times they’ve been silent observers. Whichever, they have continually absorbed something of God, and what it means to know him and live for him. Acts 3 records the miraculous healing of the lame beggar, as Peter commands him to walk in the name of Jesus. When they (the rulers of Jerusalem) saw the courage of Peter and John and realized that they were unschooled, ordinary men, they were astonished and they took note that these men had been with Jesus. Be encouraged. Peter and John were unschooled, ordinary men. You don’t have to be anyone other than who you are! Be you. Pursue your own relationship with Jesus. Live your faith. Your kids will know you’ve been with Jesus. They will be drawn to him, and grow in him. God didn’t intend for it to be difficult or complicated to nurture our kids in him! … to care for and protect (someone or something) while they are growing. Showing love to your child protects and cares for all God deposits in their heart. Your love nurtures what God is growing in their life. Your love also leads your child to God. Your child needs to know your love because your love leads them to a greater love. Each time you hug your son, his Father God hugs him too. Each time you wipe your daughter’s tears, her Heavenly Dad wipes them too. Each time you reach out to your child in love, God is able to show his love through you. It doesn’t matter if you feel like a good mum or not (you are actually the best mum your child can have), or mess up (we all do), God still shines his love through you, through every little thing you do for your child each day. As a mum, I have tried to put my children first (after God and my husband – not that I’ve always perfected that order!). This has meant for seasons of life I haven’t gone to all the church meetings I could have gone to, I haven’t been involved in ministry as much as I could. Especially in times of transition and adjustment (we’ve moved house and country several times), my kids have needed me home with them (even as teens). Building love and security into their lives has been important to me. When your child is secure in your love and acceptance, they will be secure, and grow, in God’s love and acceptance. Let me give you a new command: Love one another. In the same way I loved you, you love one another. This is how everyone will recognize that you are my disciples—when they see the love you have for each other. As your children see love in action, they will grow in their understanding of God’s love. The fruits of the Spirit will be developed in their own life. We nurture our children in Jesus by our own example. Let go of everything you could be doing, or think you should be doing. If everything else is stripped away, that is enough. Jesus in you is enough. Not that any of these things are bad. They’re not. They’re wonderful. In fact, I offer many resources and activities on this site to help you and your children grow closer to God. There will be seasons that you speak faith affirmations over your children. There will be seasons you pray more consistently for them. There will be seasons you come alongside them to pray together or read the Bible. There will be seasons for many things. But these things should never be a burden, or cause guilt if you’re not doing them. Don’t focus on DOING with your kids to the detriment of your own BEING with Jesus. Our children are precious to God. He lovingly created them. He has incredible plan and purpose for them. We can trust them to him. It is God who works in our children’s hearts, not us. It is the Holy Spirit who teaches and guides them (often through us, but we are not indispensable). It is God who will be alongside them the rest of their lives, not mum or dad! I know my children belong to Jesus. He has them and will never let them go. If you don’t know that yet, keep pursuing Jesus. Let his peace hold your heart. Agree in prayer with other believers for your children’s salvation. God will do it. My kids are older now. I still encourage them towards Jesus, but I have to let them make many of their own choices. On a Sunday morning, a teen bed is often more enticing than a church service. I have to let go. I have to trust them to God. I cannot live my child’s faith. I can only live my own. Well, this post has ended up longer than I ever intended! Experience a freshness of God in your life. Receive a short email each day for 10 days with an idea and resources to help you meet with God. Each idea is simple, practical and doable for busy mums! A 3-day online course, with short videos and Bible studies, to help you experience God’s love and goodness, and grow in hearing his voice. Bless you. You’re doing great! Do you have a question related to family life, parenting, marriage, or knowing God as a mum? Leave your question in the comments below, or add it to this Mums Kids Jesus Facebook thread. I don’t promise an answer as long as this blog post, but I’ll try to respond in a future Mums Kids Jesus post or email! Sign up to receive emails from Mums Kids Jesus so you don’t miss your answer! You’ll also receive a fortnightly round up of tips and resources for mums and moms! A Blog Post About Nothing!